Rage Against The Machine is Angrily Venting Against A Right-Wing British Politician this week, with Stereogum reporting that the band is threatening legal action against xenophobic isolationist and general all-purpose shitbag Nigel Farage over the name of his recently launched podcast, which is, you guessed it, Farage Against The Machine. 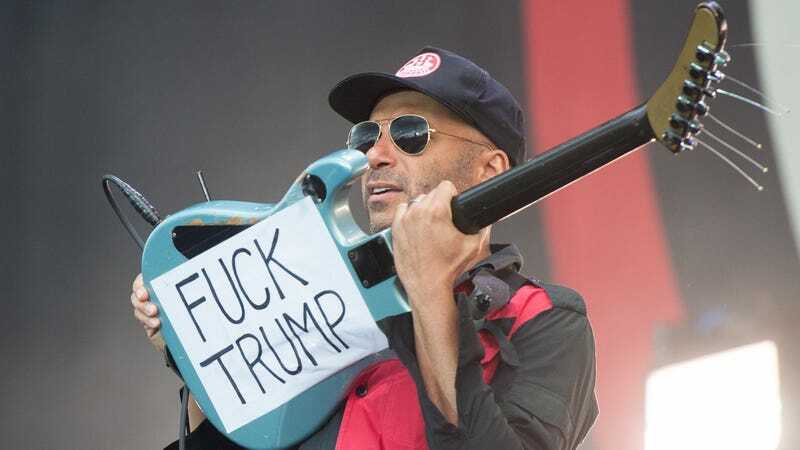 As you should know, RATM has publicly denounced the type of right-wing ideology you espouse for decades. Your anti-immigrant rhetoric, lack of social compassion and barely disguised racism and xenophobia are the antithesis of what RATM stands for. Stop using RATM’s name and logo, change the name of your podcast and find some other target to troll. We suggest President Trump.